Used as a protective spacer between layers of freshly coated material to prevent damage and wear to surfaces. A simple system for avoiding paint damage during storage and transportation. 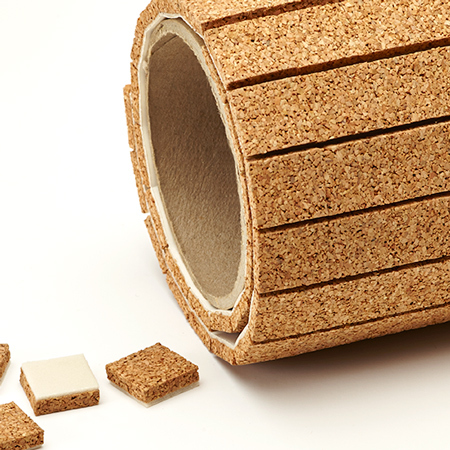 The spacer pads are 18 X 18mm or 20 X 20mm in varying thickness, and made of natural cork with a 2 mm thick soft polyethylene layer on one side. The pad fastens with a suction effect when lightly pressed against the painted surface. The pads do not leave any trace after removal, and can be reused. We do, however, recommend that this product be tested first to determine the suitability for its intended paint application.